Dr. Cohen received his B.S. in marine science and biology from the University of Tampa in 2001, and his D.V.M. from the Tufts School of Veterinary Medicine in 2008. He completed a rotating internship at Florida Veterinary Specialists in 2009, in addition to working as a general practitioner in Tampa, FL. He then attended the University of Georgia where he completed his residency in diagnostic imaging in 2012. He become a Diplomate of the American College of Veterinary Radiology in 2013. Following completion of residency, he worked as a senior lecturer at Massey University in New Zealand. In 2014, he returned to the United States in the role of Clinical Assistant Professor at North Carolina State University College of Veterinary Medicine. 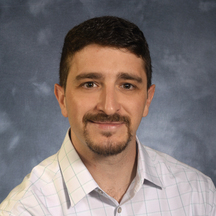 He has special interest in cross sectional imaging (CT, MRI), exotic animal imaging, and the role of teaching in accelerating advancement from novice to expert in relation to diagnostic imaging. (2015) Focused assessment with sonography as an aid for the diagnosis of gastrointestinal perforation in a bobcat (Felis rufus).J. Mejia-Fava, S.J. Divers, S.P. Holmes, E.B. Cohen, B.W. Boone, J. Mayer | Journal of Zoo and Wildlife Medicine Vol. 46(4), 2015. (2015) Imaging Diagnosis: Use of radiography and computed tomography in the diagnosis of a mineralized yolk sac in a brown kiwi (Apteryx mantelli).P. Wightman, E.B. Cohen, S. Hunter, & B. Gartrell. | Veterinary Radiology & Ultrasound Vol. 56(4), 2015. (2015) Hypertrophic osteodystrophy in two Red Wolf (Canis rufus) pups.J.L. Gjeltema, B. MacLean, E.B. Cohen, R.S. DeVoe. | Case Reports in Veterinary Medicine Vol. 2015, Article ID 970742, 2015. (2015) Accuracy of determination of the cranial sacral lamina on radiographs.L.M. Blume, A.J. Worth, A.C. Hartman, E.B. Cohen, J.P. Bridges | Veterinary Radiology and Ultrasound Vol. 56(6), 2015. (2015) Clinically silent calvarial defects in a dog secondary to failure of endochondral and intramembranous ossification.E.B. Cohen, A. Sharma, B. Smith, S. Holladay, & S.P. Holmes | Jacobs Journal of Anatomy Vol. 1(1):003, 2015. (2014) What is your diagnosis? Cervical malformation in a goat.C. S. Monk, E.B. Cohen, K. A. Hart, M. Kent, D. Jimenez, B. C. Credille | Journal of American Veterinary Medical Association Vol. 245(7), 2014. (2013) What is your diagnosis? Sinonasal cyst in a goat.B.C. Credille, B.S. Tennent-Brown, S. Cato, E.B. Cohen, B. Manickam, E.W. Howerth, & D.A. Jimenez | Journal of American Veterinary Medical Association Vol. 242(9), 2013. (2012) Productive thyroid follicular carcinoma in a wild Barred owl (Strix varia).J. Brandao, B. Manickam, U. Blas-Machado, E.B. Cohen, J. Mejia-Fava, S. Divers, & J. Mayer. | Journal of Veterinary Diagnostic Investigation Nov; 24(6), 2012. (2011) Imaging diagnosis - CT myelography in a dog with intramedullary intervertebral disc herniation.M. Kent, S. Holmes, E.B. Cohen, S. Sakals, W. Roach, S. Platt, S. Schatzberg, & E. Howerth | Veterinary Radiology & Ultrasound Vol. 52(2), 2011.